The European Commission supports industry’s commitment to provide a common charger for mobile telephones. Commission welcomes new EU standards for common mobile phone charger: European Standardisation Bodies CEN-CENELEC and ETSI have now made available the harmonised standards. The industry commits to provide chargers compatibility on the basis of the Micro-USB connector. The technical number for this micro-USB charging standard is EN 62684. The European Commission expects the first common chargers and mobile phones compatible with the new standards to reach the European market in the first months of 2011. Sony-Ericsson, Nokia, Apple and all the others will now have about a year until the 1st of January 2012 to make sure that the majority of all phones will support the new standard. Technical requirements: Output Voltage Range: 5V +/-0.25V from no load to maximum output current measured at the Micro-B plug of the captive cable or on Standard-A receptacle in case of detachable cable. Output Current Range at 5V +/-0.25V voltage range is 500 mA to 1500 mA (maximum 1.5A load at voltages below 4.75V). Output Voltage Ripple 80 mVp-p.
EPS shall short the D+ and D- lines with a resistance not greater than 200 ohms (per USB Battery Charging Specification). The charger converts 90V-264VAC at 50-60Hz into 5VDC, 500-1500mA. The galvanic isolation required for user safety also isolates the charger output from earth ground, although there still exists capacitive coupling between the primary and secondary through the transformer. Output of the power adapter shall meet LPS, SELV, non-hazardous energy requirements. Maximum Current under Single Fault Condition shall not exceed 3A. The power adapter shall meet Class II requirements with max leakage current not exceeding 90 micro-Amps. The power output to the mobile phone is isolated “floating” type. It should be noted that the common-mode noise exists independent of a well-regulated DC output, as the positive and negative DC output lines, the USB cable, and the Mobile Terminal are all pushed “up” and “down” together. This is nothing new, just now well documented what happens. This same happens with practically any today’s mobile phone charged based on switch mode power supply technology. Mobile phones need to be designed so that they can live with it. There is one Technical requirement that sounds quite hard at first but makes sense for end user point of view: The charger shall not be damaged as a result of any electrical overload, over-temperature condition or any short circuit condition. The common charger will make life easier for consumers, reduce waste and benefit businesses. Please note that earlier there has already been a voluntary agreement on cell phone chargers in EU using the same connector and China implements standard USB charger for all mobile phones. there will be another charging connector that will stay in use. Nokia will be using 2 mm charging connector on at least it’s cheapest phones. By the way the 2 mm barrel type charging connector is standardized in IEC 62637 (soon to be ratified to EN 62637). A sample of the new common mobile phone charger for Europe has been ceremonially handed over to European industry commissioner Antonio Tajani, ahead of a continent-wide roll-out this year (director-general of tech trade body DigitalEurope). The universal charger is intended largely as an environmentally-friendly move, as it will over time make it unnecessary to ship a charger with each new handset. As well as being green, this should also cut down on manufacturers’ shipping costs as they will be able to deliver devices in smaller boxes. Mobile phone manufacturers that signed the agreement, such as Nokia, Samsung and Sony Ericsson, have almost all implemented micro-USB ports in their devices. Apple, which has built up a lucrative industry around its proprietary dock connector, has not. The California Energy Commission votes to approve efficiency standards designed to cut energy use by ‘vampire’ charging systems that waste as much as 60% of the electricity they consume. California’s cellphones, tablet computers, power tools and hundreds of other portable electronic devices will be required to have energy-stingy battery chargers beginning next year. For example, consumers might pay an additional 40 cents for an electric toothbrush with an efficient battery charger, but would save $1.19 in electricity costs over the lifetime of the product, according to a commission staff report. An upgraded battery charger would boost the price of a laptop computer by 50 cents but would save $19 in power costs. The standards are part of a more than three-decade drive in California to make appliances and buildings more efficient to cut energy use, reduce pollution and save money. Charger and display noise affects touchscreens, but there are ways to tackle this problem. Charger noise physically couples into the sensor through the battery charger during the presence of touch. Its effects include degraded accuracy or linearity of touch, false or phantom touches, or even an unresponsive or erratic touchscreen. The culprit is typically an aftermarket, low-cost charger. Two common battery chargers are the ringing-choke converter and the flyback converter. The ringing-choke converter has neither a microcontroller nor a capacitor, yielding a lack of PWM control, a lower-cost transformer, fewer diodes, and lower-capacitance polarized-input capacitors. These eliminations equate to cost savings for the manufacturer but a noisy system for the customer. Some ringing-choke-converter chargers are on the verge of becoming broadband noise generators because they emit as much as 40V p-p noise ranging from 1 to almost 100 kHz. As the USB port becomes increasingly ubiquitous, it is also becoming accepted as a universal charging port. Unfortunately, this concept of universal is easier to say than it is to do. This article is an introduction into the common challenges a designer runs into in creating this highly desirable, omnipresent USB charging port. The native wall charger for a device will very often have a special signature on the data pins to let a device know it is safe to charge with more current. In some cases, it also prevents the device from charging at all if the host is unknown. This signature may come in the form of a specific voltage placed on D+, or D-, or both. Make no mistake: selling specialized accessories is definitely in the business plan for a portable product. For every chargeable product purchased, about 50% of us will go out and buy another charger. The reason is simple: we do not like carrying them around, so we leave a charger in the other places we frequent, such as in our office or in the car. Just want to say your article is as astonishing. The clearness to your put up is just nice and i can think you are an expert on this subject. Well together with your permission let me to seize your RSS feed to stay up to date with approaching post. Thank you one million and please carry on the enjoyable work. I really like this excellent layout. What template are you having? USB power has a fundamental limitation – micro-USB connectors are only rated for 1.7 A. The USB charging spec maxes out at 1.5 A. That’s right at the edge for today’s phones and battery technology. Lithium batteries exist which can be charged at a 1C rate, and a 1.5 Ah battery is about what most smartphones have. It’s more limiting for tablets, which have batteries which can charge faster than USB can allow. USB3 has charging standards which allow for much more power. I don’t think any manufactures have added support for it yet though. Profile 5 – 12V or 20V at 5A (100W). I believe the idea around profile 5 is so laptops can drop the custom power connector and use a USB3 port instead. It makes things interesting if all laptop USB ports support all power profiles. You could charge one laptop from another and even make a figurative ‘energy black hole’ by looping the charge back again with another cable. I considered simply replacing the power supply and carrying on, but having a few more bed-side USB ports would be handy. I therefore opted to build myself a USB power strip. On the right is a 2.1mm barrel jack to accept standard 12V wall warts (which I’ve made a standard of as many of my projects as possible), and on the left is 5 “dumb” USB ports for charging devices. 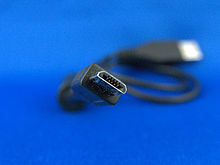 Originally, USB wasn’t at all designed to be a charging port, and required quite a bit of intelligence on both ends of the connection to negotiate how much power the client device can consume. Manufacturers had no interest in spending the extra cost to make a phone charger that intelligent, so each manufacturer came up with its own bastardization of the USB spec (usually via random resistors between various pins). In hindsight, the fuses were a good idea that work out great, except that Apple seems to hate every spec they didn’t invent themselves. Dedicated charging ports are unable to digitally tell client devices how much power they can deliver (500mA? 1A? 2.5A? ), and instead simply shut down the port when this limit is exceeded. It is then the client’s job to figure out where this limit is and to do the best it can to stay below it. Consumers toss out millions of battery chargers every year. In fact, cell phone chargers account for almost 100,000 tons of trash annually in the U.S. In the E.U., chargers represent about 51,000 tons of landfill waste. The computer’s running might start to acquire stricken, plus the vendor may suffer a substandard penetration of results, the manufacturers web-site ought to be been to now. You should establish a sense for the correct distance and turn into an improved putter, not needing to be concerned about the proper take away or other bad thoughts, youre only thinking about the goal. I also came across an interesting food pairing article – Food Pairing Ideas for Lager Beer – in case you actually want some food with your lager. One more thing to say is that an online business administration training course is designed for learners to be able to easily proceed to bachelor degree education. The 90 credit education meets the lower bachelor diploma requirements and when you earn your associate of arts in BA online, you’ll have access to up to date technologies on this field. Some reasons why students need to get their associate degree in business is because they can be interested in the field and want to obtain the general knowledge necessary in advance of jumping right bachelor college diploma program. Thx for the tips you really provide with your blog. Since the concept was first introduced, consumers have complained about proprietary chargers. Regardless if they’re needed or not for a given product, they can be annoying and inconvenient. But are they bad for the environment? That’s the argument being put forward by the Members of the European Parliament’s internal market committee. On September 26, the body voted unanimously to propose a law that would require companies to use a universal mobile phone charger. The law requires mobile phone manufactures to include the universal micro-USB charger in its designs. This isn’t the first time the European Union has sought to impose a charger standard on manufactures. In 2009, the Commission reached a voluntary agreement with 10 mobile phone manufacturers to adopt the micro-USB charge and sync interface as the industry standard. Apple signed the agreement, a Memorandum of Understanding, but has not replaced its 30-pin or 8-pin chargers. Thursday’s vote means this formerly voluntary agreement is no longer voluntary. For Apple, with proprietary chargers that factor into the optimization of the iPhone design, this law raises some troubling concerns. Apple already sells iPhone micro-USB adaptors, and perhaps it could start including them with new iPhones as a workaround. The new regulation means that if mobe-makers’ want to meet European standards for “radio equipment” they’ll have to ensure their products will have to be chargeable using micro-USB. But there are ways out of the proposal: the communiqué about the vote on the issue says “… it will be up to the European Commission to decide which specific types of radio equipment will have to meet this requirement”. Practical suggestions ! I am thankful for the points , Does someone know where I can get access to a template a form document to work with ?